The fact that the Volvo Ocean Race starts in the port of Alicante every three years, that the Tour of Spain bicycle race goes up the Aitana mountain range every year, that a number of football teams do their pre-match preparations in the province and that the golf competitions held on our golf courses are of national importance says a lot about the Costa Blanca's sporting facilities and infrastructure. Further proof is that the National Sports Council has named the town hall of La Nucia as the local entity that stood out the most during 2012 for its initiatives for encouraging the take of sport and the promotion and organisation of activities or provision of sporting facilities. 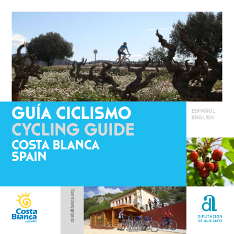 This award recognises the work of the Ciutat Esportiva Camilo Cano, which has a total of 150,000 square metres and has attracted citizens of 63 different nationalities, as it also organises activities for elderly and disabled people. 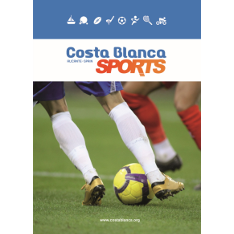 Football, Spain's most popular sport, has its own facilities, offering natural and artificial turf football pitches which meet the standard regulations so that football teams of different categories and levels can do their pre-match training here. The Davis Cup and the Federation Cup have also taken advantage of the different clubs in the province, where ATP players often do their training given the quality of the tennis courts, especially the clay courts. 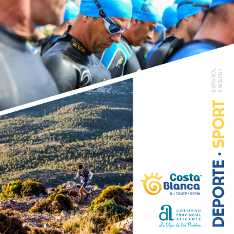 Other annual events include the swimming competition from Tabarca to Santa Pola and its very own rowing version, the Costa Blanca Cup (an international football tournament) and the Taekwondo International Open, as well as popular urban races, such as the Santa Pola Half Marathon, mountain races and MTB tests.